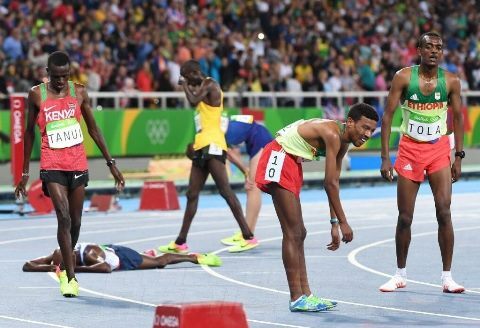 Members of the Ethiopian athletics team, participating at the 2017 IAAF World Athletics Championships in London, have become victims of robbery, reports said on Monday. The burglars, believed to be the hotel room attendants (cleaners), stole money and other personal properties from the athletes’ pockets, wallets and drawers, according to a Sport Zone reporter from London. “The cleaners were making us feel anxious by repeatedly visiting our classrooms beyond their normal working hours,” said Tirunesh Dibaba whose hotel room and her sisters’ at the 9th floor on Guoman Tower Hotel were reportedly raided last night. Ethiopia won gold and silver in the 10000 women’s race at the 16 edition of IAAF’s flagship event on Saturday. Almaz Ayana finished the race with 300 meters clear of her rivals, and clocking 30:16.32 seconds. Tirunesh Dibaba, the former world and Olympic champion, took the silver medal. On Sunday, Tamirat Tolla added a silver medal in the men’s marathon to help Ethiopia lead the medal’s table and in second place next to USA.